Raleigh Specials Tonight: Merry, Happy, Joy, etc from RST! Merry, Happy, Joy, etc from RST! Merry Christmas from Raleigh Specials Tonight! Most of you are probably hanging out with your families next to roaring fires and twinkling Christmas trees, sharing quality time and stories of yore. Which is why I want to tell you where you can get something stronger than cocoa, just in case you need it. One of my favorite Raleigh spots, The Landmark, is open 7/365 and is always good for a PBR and some good conversation. 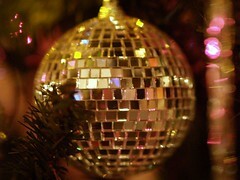 Deep South's got a very 70's Christmas happening tonight - admission is free and the doors open at 7:00. Of course, if you're looking for a family-friendly day, make Tir na nOg's Christmas Feast part of your annual tradition! From 12:00 to 6:00, eat to your stomach's delight at their fantastic buffet spread. Whatever you do, be safe and be merry!